Synonymous with sleepy white-washed villages, colourful harbours, aqua blue waters and white sand beaches, Greece with its gloriously rich history, is an obvious choice for a bucket and sand holiday with a difference. In recent years a number of stunning boutique-style hotels have opened their doors in some of Greece’s most beguiling locations, giving discerning family travellers options which are a million miles away from the old package holiday image of Greece. The ‘real’ Greece is in fact very easy to find but with over 1000 islands and miles and miles of mainland coastline, the hard part is choosing where to go. Athens is high on most people’s ‘to visit’ list with the hilltop Acropolis, home to the Parthenon. The Archaeological Promenade, a pedestrianised, tree-lined avenue links all the major sites, with the Parthenon a very pleasant 10-minute walk from the Acropolis metro station. Make sure you see it at night in all its floodlit glory. Other ‘must see’ sites include Ancient Agora, with marketplace and temple ruins set in an Arcadian landscape, complete with olive trees. For panoramic city views, head to Kolonaki and take a cable-car to the peak of Mt Lycavittos- sure to be a hit with younger visitors. Don’t miss the high-tech New Acropolis Museum and the National Archaeological Museum but note that most museums are closed on Mondays. For those who want to mix culture with more contemporary pastimes, Athens offers some fantastic nightlife, with numerous urban-chic bars and cafés. It is a city which remains lively all year round, so can be a good option for an out of season extended weekend break. The closest islands to Athens are the Argo-Saronic Archipelago, of which the favourite is pretty Hydra- many of the restored neo-classical mansions are now home to chic boutique hotels. Continuing on the mainland, the Peloponnese offers much to the visitor, especially culture buffs who are drawn to the incredible sites of Ancient Corinth, Ancient Olympia and Epidaurus. With rugged mountains and fertile valleys, it offers a pleasantly lush contrast to Athens. It is also home to Nafplion, considered by many the most beautiful and romantic Greek city. South of the Peloponnese, lies Kalamata, famed for its delicious black olives. The north-east Aegean stretches from lush Samos in the south, off the coast of Turkey, up to Thasos in the north. The Northeast Aegean Islands centre on Mytilini (aka Lesbos), home of ouzo, and Chios, with its medieval villages. 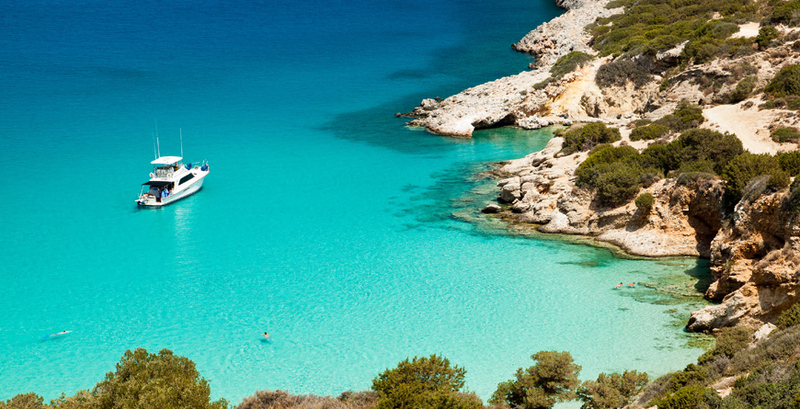 The Northern Cyclades are within easy reach of Athens. 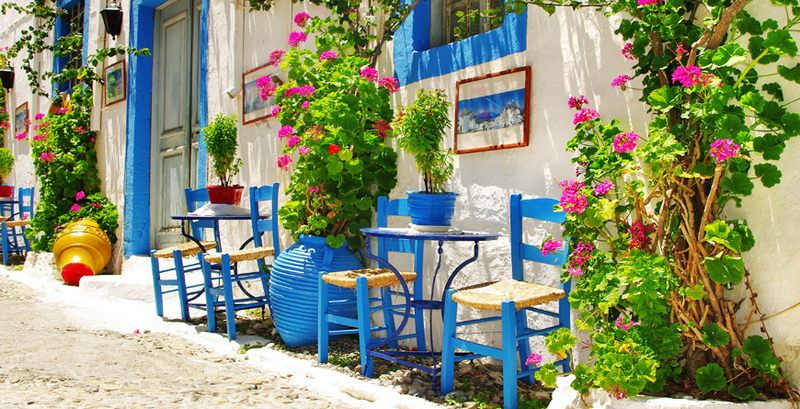 The most well-known of the Cyclades are Mykonos, Santorini and Ios which form the tourist heart of the. There are also smaller islands if you prefer a quieter, more restful island break. 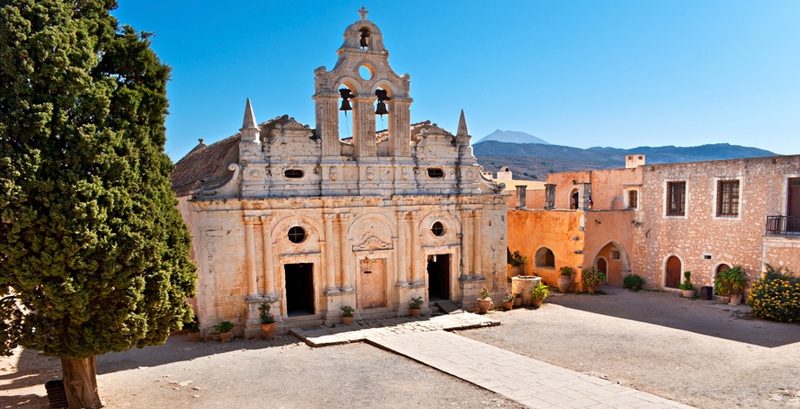 The largest Greek island, Crete, facing North Africa, is also the most southerly and has its own unique and unmistakable culture and atmosphere. The undulating coastline offers a mix of dramatic cliffs, wide beaches and hidden coves. Heraklion is the island’s capital and main entry point. However, Rethymnon and Chania to the west are far more aesthetic with pretty Venetian architecture. To the east, Agios Nikolaos retains plenty of character. The interior is home to the towering White Mountains, which offer some spectacular hikes and drives as well as verdant gorges and hill top villages. The Lasithi plateau can be found here, famed for its white windmills. The lesser-known south coast is much more rugged, with gorges, isolated villages and coves. 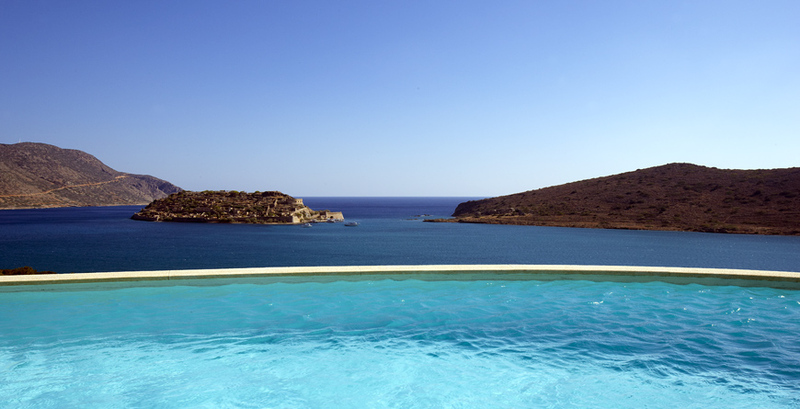 Renowned as the birthplace of Zeus, ruler of the Olympian gods, no stay in Crete is complete without taking in the fascinating, ancient Minoan historic civilisation and all that has followed. Whilst a more temperate Mediterranean climate can be found on the North, a drier hotter weather system tends to prevail in the South, perfect if you are in search of warmth for an off peak holiday. The lush green Ionian Islands, off the West coast of Greece, offer some stunning beaches, fabulous rocky interiors- popular with hikers, and laid-back island life. The busiest islands are undoubtedly Corfu and Zakynthos. Kefalonia came to fame, following the publication of Captain Corelli’s Mandolin, and it retains its many charms, with winding coastal roads, remote tavernas with jaw-dropping sea views and characterful harbour towns. The Dodecanese are scattered around Rhodes, infamous for package tourism, yet with plentiful hidden depths and off-the-beaten-track appeal. Medieval Rhodes Town is a delight to wander around, with its little alleyways, craft shops and tempting eateries. A ferry ride from the port takes you to the smaller islands, some of which retain pastel coloured neo-classical buildings and elegant harbours- a legacy of their trading past. These islands are beloved of artists and historians as well as discerning holiday-makers looking for a slice of authentic island life. The Summer months of July and August are high season in Greece, so whilst all the restaurants and attractions are open, it can get busy and prices for everything, including accommodation are at their highest. You should expect potentially very high temperatures in some areas, although many of the islands do enjoy see breezes. Pack accordingly with plenty of sun protection and cover-up clothing for younger children. Plan to stay in accommodation with A/C and plentiful shade, especially around the pool. Spring and Autumn sees lower temperatures, but it is still a very pleasant time of year to visit- indeed preferable for those who want to avoid the heat of high Summer. It can be a fantastic time of year for younger families with pre-school aged children to visit as accommodation is usually discounted. However, internal flights and ferries may operate reduced schedules. Winter in Greece is usually very quiet, with many hotels, sights and restaurants closed, especially on the islands where tourism is very seasonal. Between November and February the weather can be unpredictable, but there is usually a significant drop in temperature- Athens and Crete have been known to see snow, but on the whole it is mild compared to Northern Europe. If you do visit over Winter you should be able to grab a bargain with hotel rooms up to 50% less than in high season. Expect ferry schedules to be much reduced so plan accordingly.